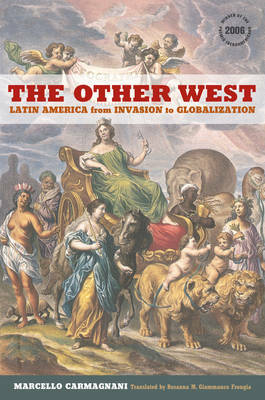 "The Other West" provides a provocative new interpretation of Latin American history and the region's place in the changing global political economy, from the discovery of America into the twenty-first century. Marcello Carmagnani's award-winning and multidisciplinary analysis sheds new light on historical processes and explains how this vast expanse of territory - stretching from the American Southwest to the tip of the Southern Cone - became Europeanized in the colonial period, and how the European and American civilizations transformed one another as they grew together. Carmagnani departs from traditional historical thought by situating his narrative in the context of world history, brilliantly showing how the Iberian populations and cultures - both European and American - merged and evolved.